2000 foal, 15.3hh. 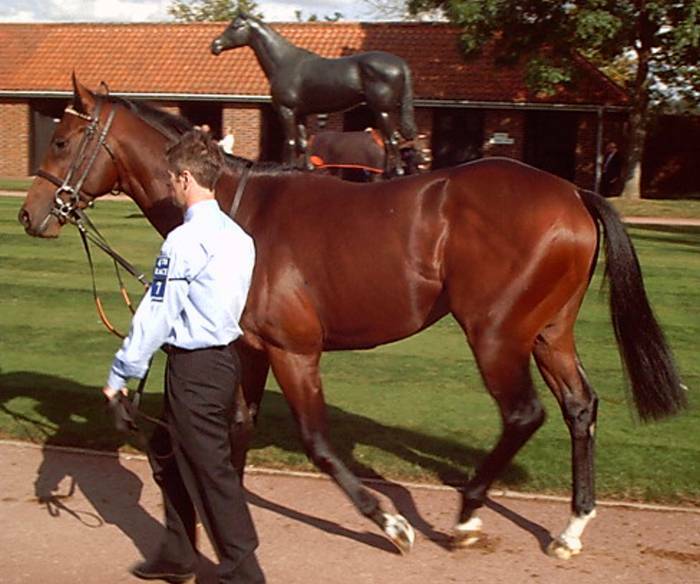 Owner bred by Khalid Abdulla and trained by J. Gosden. His dam was unplaced on her sole run but is a full sister to Group 1 winner Wemyss Bight (also dam of Beat Hollow) and has also produced the French Group 1 winner Zenda. He won four races at 5f-6f between 2yo to 3yo. As a juvenile he started favourite for his August 14th debut in a Salisbury maiden but finished 5th [Picture]. Stepped up to 7f next time he finished second at Sandown as favourite (to Rimrod). 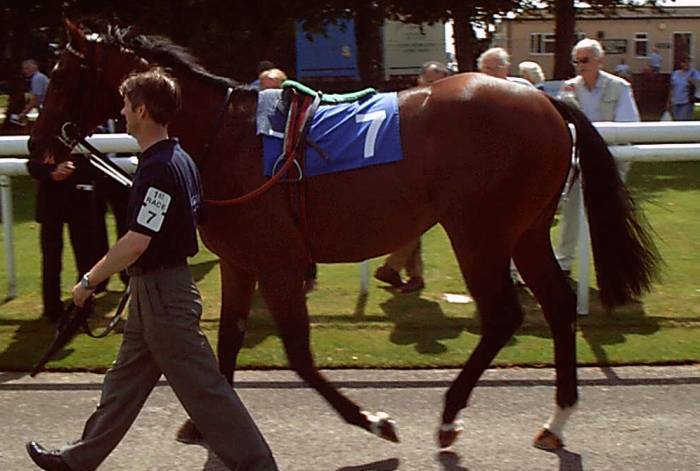 He won his final two starts when dropped back to 6f in a minor maiden at Nottingham and then in the 6f Group 1 Middle Park at Newmarket (6/1) Pre-race [Picture]. Won two from five starts at 3yo in the 6f Group 1 July Cup (from Choisir & Airwave) and the 5f Group 1 Nunthorpe Stakes. Retired to his owner's Banstead Manor Stud under the Juddmonte Farms banner with his 2007 fee at a relatively high 25,000gns. 59 of his yearlings were offered for sale at major european sales in 2006 with the 50 sold on making a high average of over 93,000 guineas (median 53,000gns). 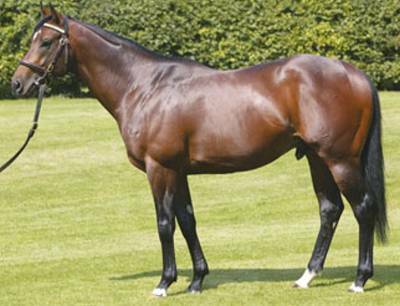 Given the quality, and number, of the mares he covered he has featured as favourite for the First Season Sires' title. The 2006 champion was another son of Green Desert in Invincible Spirit. Worth noting that many of his yearlings were small and heavily built and not as obviously athletic as the first crop of Invincible Spirit. It will be interesting to compare the two sires results.